Redfin is bringing its 1 percent listing fee to Salt Lake City and Nashville, the tech-focused brokerage announced on Wednesday. Redfin typically offers a 1.5 percent fee to homesellers who list with it, or 2 percent for homesellers who choose its elective Redfin Concierge deep cleaning, repair, renovation and staging service. But the Seattle-headquartered company has dropped its fee to 1 percent in many of its largest U.S. markets over the last year, including Boston, Chicago, Dallas, Houston, Los Angeles, New York City, San Francisco, Seattle and Washington, D.C. The industry commission average for home transactions is roughly between 5 and 6 percent, with half going to the buyer’s agent and half going to the listing agent. The seller usually pays the full commission cost, but bakes it into the list price so that the buyer is picking up some of it. 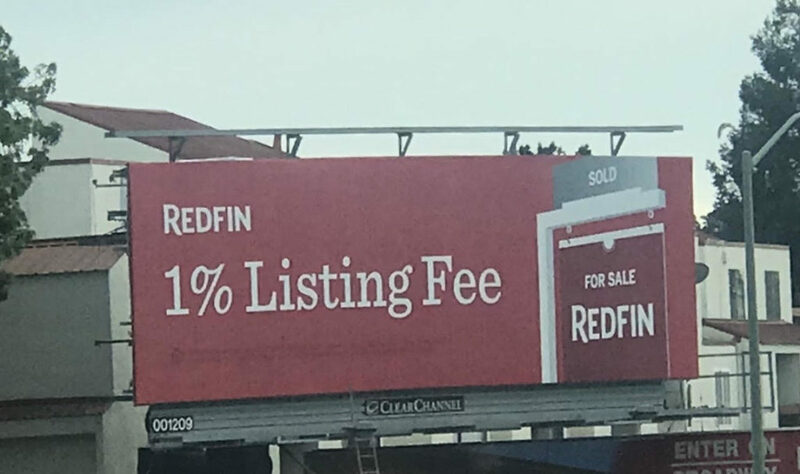 Redfin’s 1 percent listing fee does not include the buyer’s agent commission. In Salt Lake City, Redfin’s lowered listing fee is being offset by a reduction of the refund it offered to buyers – which can still be viewed on every Redfin listing page. There will be no buyer refund offered in Nashville due to state laws. Redfin’s service won’t change with the 1 percent listing fee. Sellers will still work with a Redfin listing agent and be able to see data about the agent, including homes they have sold. Redfin also includes professional photography, a 3D walking tour, digital add campaign, pre-market listings in states where it’s allowed, open houses and other services, according to a company release.